This scenario is based in Georgia, USA in the 1920s. I used Ampz's Mapgen 1.3 tool to convert a topography map from the National Geophysical Data Center (http://www.ngdc.noaa.gov/seg/topo/state.shtml) into a locomotion landscape. 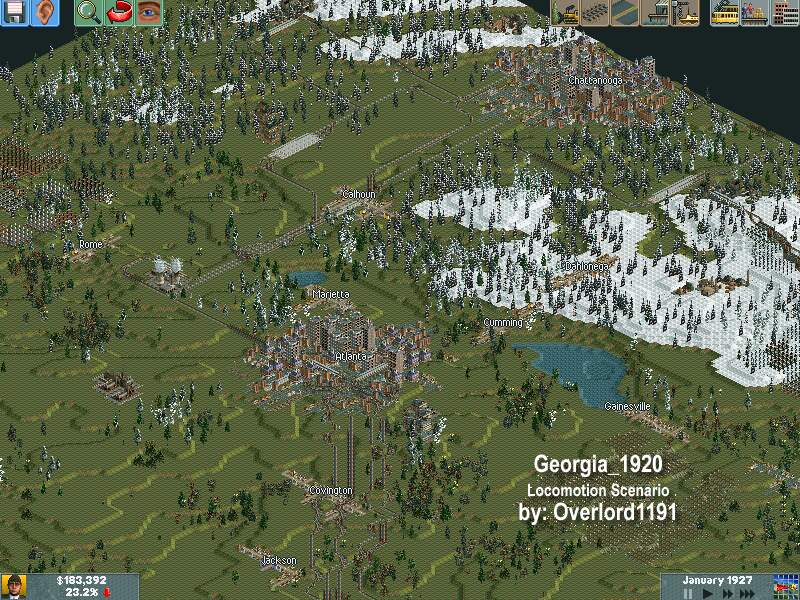 Then I added the cities based on actual cities in Georgia and I tried to keep the industries somewhat in the actual regions while still keeping the scenario playable and fun. I live in Atlanta Georgia so naturally this was the first place I wanted to create. Look for a Florida scenario comming soon!